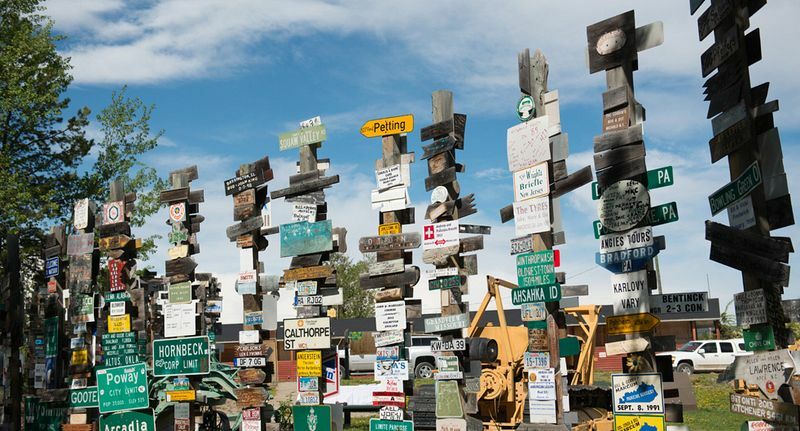 One of the quirkiest attraction along the Alaska Highway is located near the town of Watson Lake, in Yukon territory, Canada. 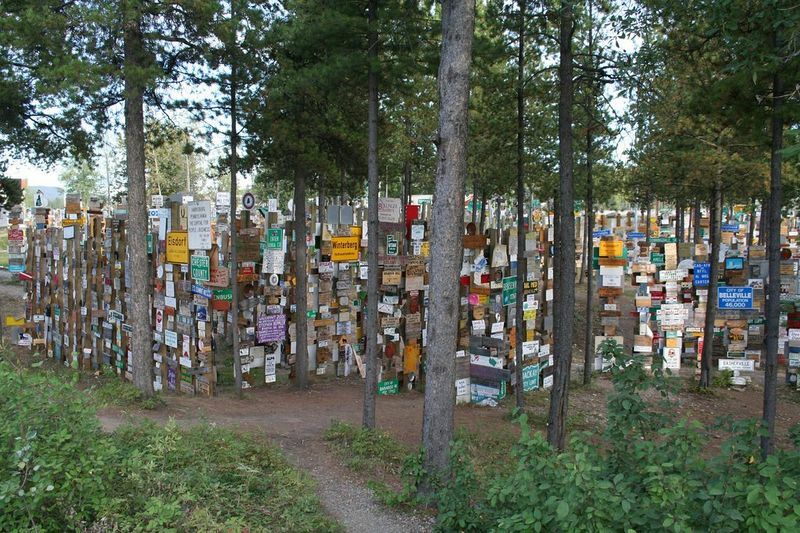 It’s a “forest” full of signs of various shapes and sizes hammered into vertical wooden posts driven into the ground. 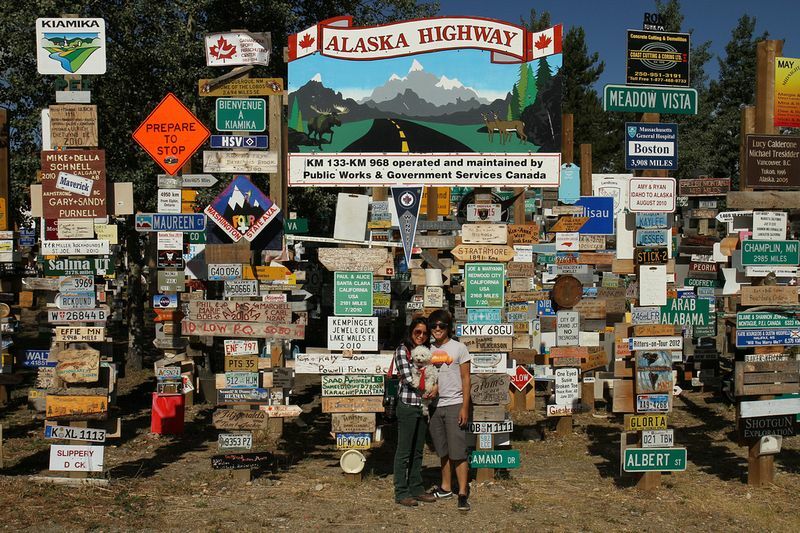 The landmark was started by Private Carl K. Lindley in 1942, at a time when the Alaska Highway was being built. 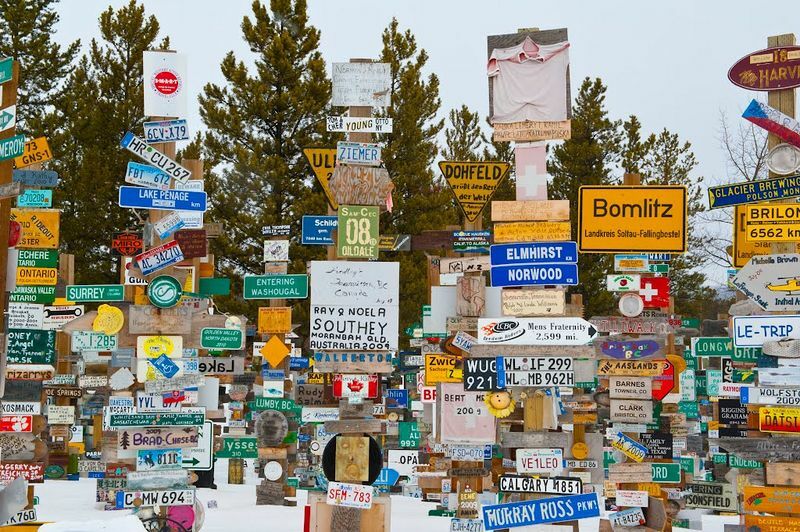 Watson Lake didn’t exist then, but there was a Military Air Base and airport on the site. Carl Lindley from Company D, 341st Army of Engineers, was working on the Alaska Highway near Lower Post, Canada, when he was injured and taken to the Army Aid Station to recuperate. During his time there, Carl’s commanding officer ordered him to repair and repaint the directional post that pointed to various points along the tote road. In those times, it was common practice for the US Army of Engineers to put up a directional post at their camps. It gave directions and mileage to surrounding communities and various parts of the world. Carl got a bit homesick, and while carrying out his task, decided to add a sign pointing towards his home town, Danville, Illinois. 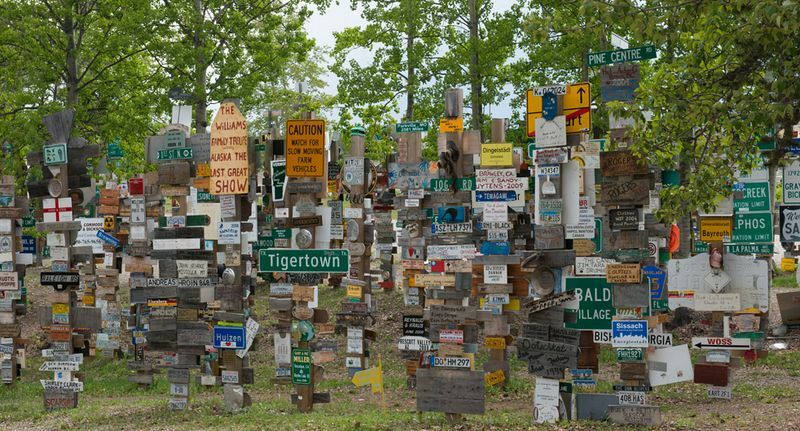 Others liked the idea and several more signs pointing to various other places were added and a tradition developed. 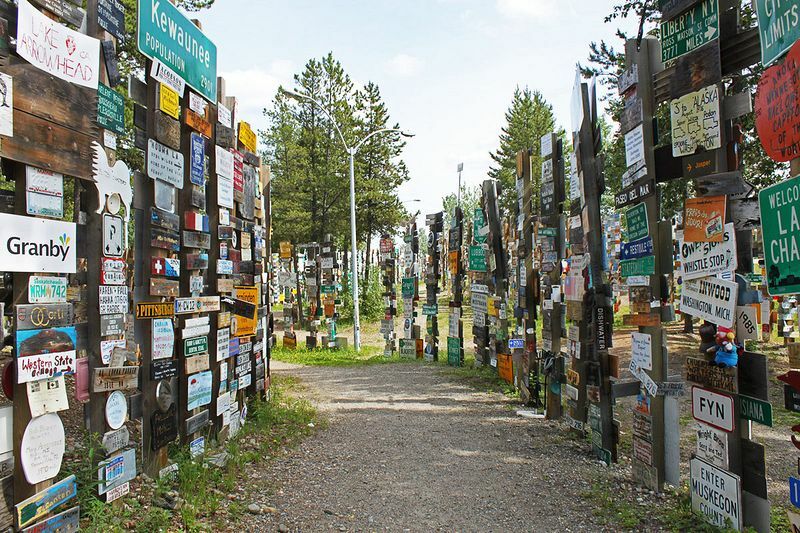 Over the years, the single signpost grew to a forest a couple of acres in size with signs added by people from all over the world. 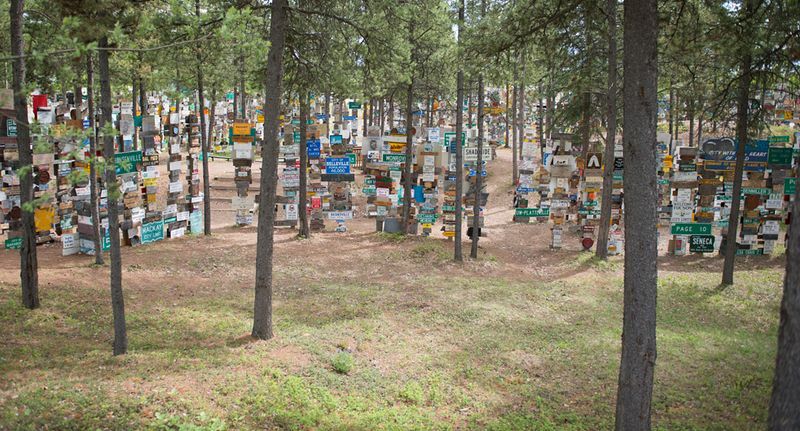 There are street signs, "Welcome To..." signs, signatures on dinner plates, and license plates from around the world, including a 6x10-foot sign from the German autobahn. 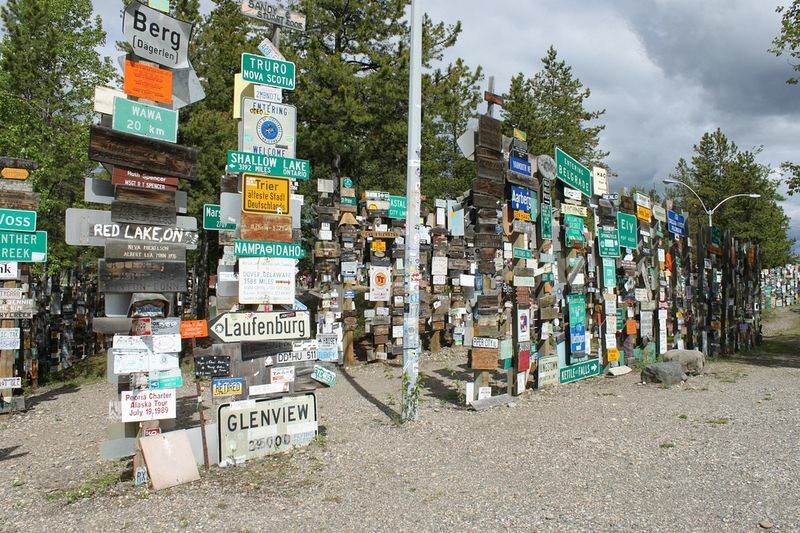 The logistics of moving that sign from Germany all the way to Watson Lake perplexes me. 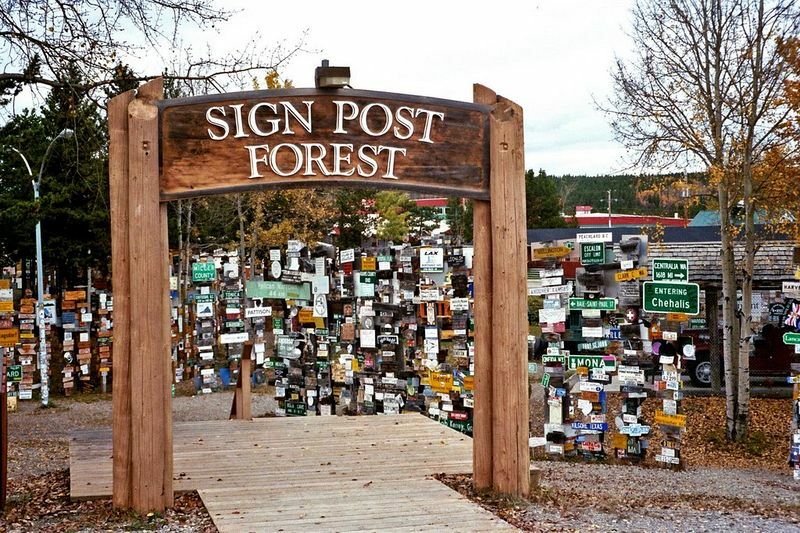 According to Wikipedia, there are over 100,000 signs in the Sign Post Forest, and is growing each year. Unfortunatly, the original sign put up by Carl Lindley was lost. 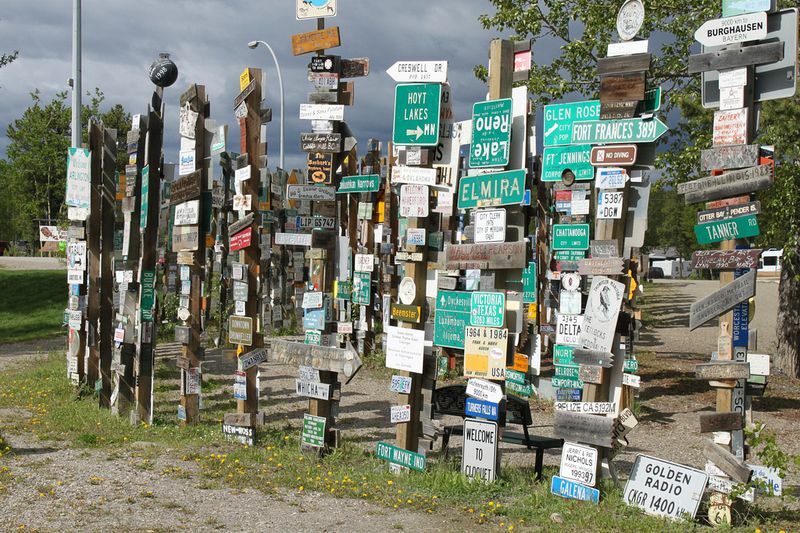 But in 1992, on the occasion of the 50th anniversary of the building of the Alaska Highway, Carl and his wife Elinor returned to Watson Lake after an absence of 50 years and inaugurated a replica of the directional post that Carl had erected half a century ago. Today the replica Danville, Illinois sign is visible at the Visitor Center.